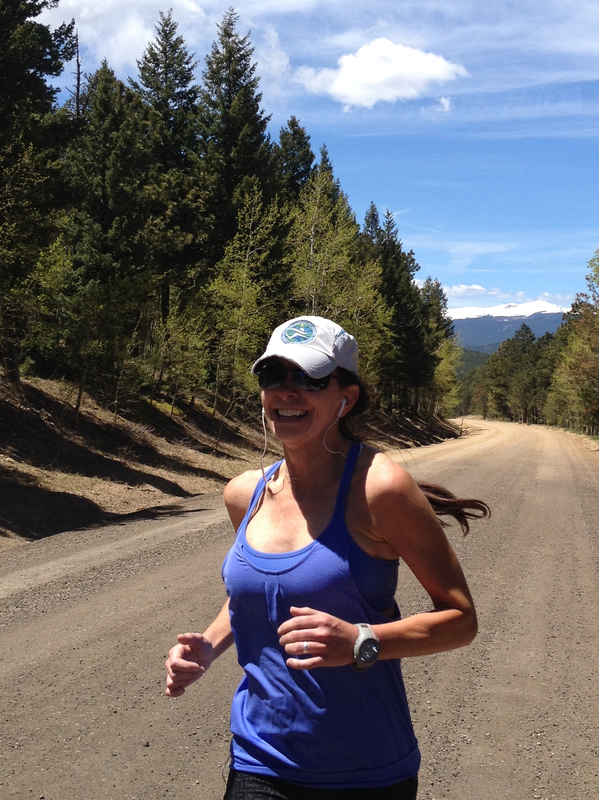 This is Jen’s first run on 8000 foot high Magnolia Road. Being my second run, I’ve taken to calling her Mags. The road, not Jen. You have to run or bike Mags. Fresh and cool mountain air. Long, rolling hills. Stunning views. First time I can think of that a road motivated me to read a book – Running with the Buffaloes. The book tells the story of Mark Wetmore coaching the CU Buffs to the NCAA National meet in Cross Country. Magnolia Road was their regular Sunday run. Wetmore said the only thing better would have been if they lived up on Mags and trained down in Boulder. I’m up here a second time training for Snowmass. This time with half my relay team, Steve, Keith and Jen. Next weekend, Steve will launch our relay at 4pm Friday afternoon. Eight of us will run through the night and Steve’s daughter Allison will cross the finish line around noon Saturday. When we aren’t running, the team will be camped at 7,900 feet in Snowmass Village among close to 200 other relay teams. Eating. Drinking. Celebrating the Colorado outdoor lifestyle. Each of us will run three legs. The green loop is 3.5 miles with a 500 foot rise in elevation. The yellow loop is 4 miles with only a 300 foot gain in elevation. 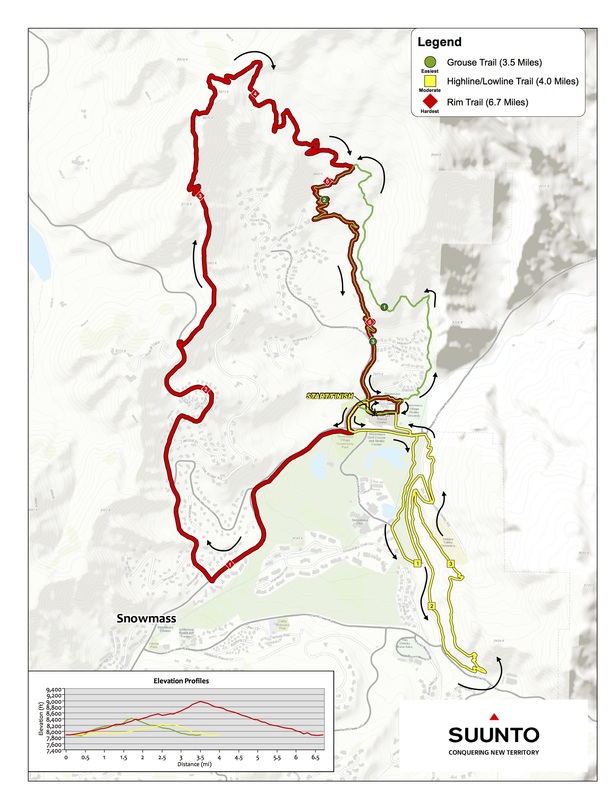 The red loop is the biggie at 6.7 miles with an 1100 foot climb over the first 3.5 miles. This is why we’re training on Mags. The rest of the team has been running regularly on the trails outside of Lyons. We’ll be ready. The most difficult aspect to this run might be the sleep deprivation. My runs are scheduled for 9pm, 3am and 10am. I’ll be sporting a head lamp to ensure I don’t run off a cliff. None of us are expecting to set any records. It should be a fun time. Great way to kick off the summer. 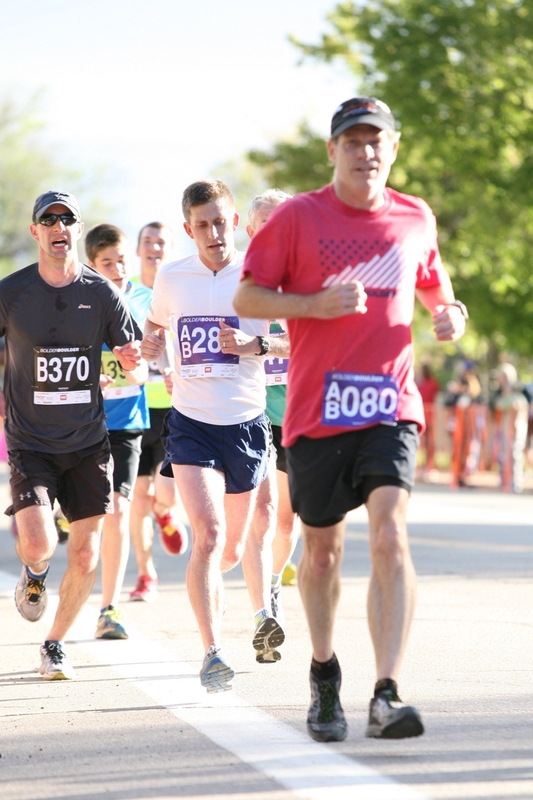 I got my photos from the Bolder Boulder. They are free this year. Of course, they come stamped with a Right Guard logo, which I cropped out. I’m okay with the sponsorship though. Saves me a good $50. I’m less happy with my form after viewing the photos. I know my running form has improved dramatically over the last two years. Race photos offer an excellent opportunity to view foot falls and form. I’ve placed emphasis on shortening my stride and landing more on the front of my feet. These photos illustrate good form at the start but that my left foot in particular falls apart once I’m sufficiently fatigued. Makes sense that is the foot that generally suffers from planters fasciitis. Not sure where this pic is on the course but probably the first half as my feet look positioned properly still. Not showing you the bad photos near the end of the race.